On the left side is a tiny blur of disappearing cat tail. This time, they’re from DAW (thanks, DAW!) 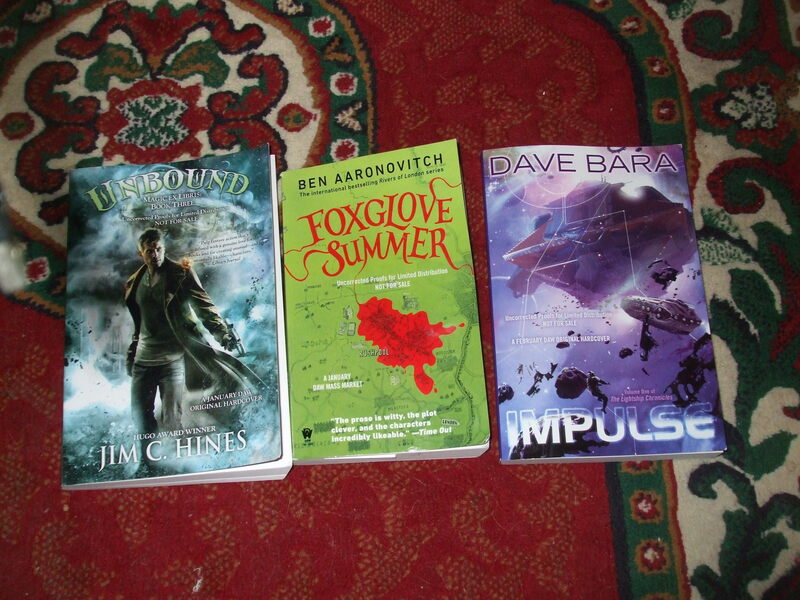 and it’s Ben Aaronovitch’s FOXGLOVE SUMMER, Jim C. Hines’ UNBOUND, and a debut novel called IMPULSE by a bloke called Dave Bara, which based on its first chapter I won’t be finishing.